Wit is based on a stage play, and it shows. 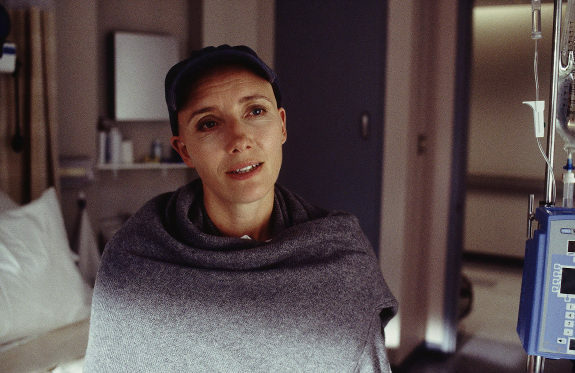 There’s a lot of dialogue throughout, and even more monologues, delivered straight to the camera by the cancer-stricken protagonist. But that’s fine. When you have a script as powerful as this one and Emma Thompson in the lead putting in perhaps her best work on screen, it’s probably best to just give the two entities as much time and space as possible. If the recent 50/50 wasn’t enough cancer film to satisfy you, you would do well to check this one out. It’s a heart-wrencher, and an intellectually stimulating one to boot. In a film full of emotional impact, perhaps the most effective parts come in the early goings as we’re introduced to the characters, inhabitants of a coastal town in Maine. I didn’t see anything really extraordinary about this as I watched it for the first time, but when the central tragedy of the story strikes, it hits like a wrecking ball. “This isn’t right! This isn’t how it’s supposed to be! Why did this have to happen! ?” The characters had been built up so well that I realized I had begun to really care about them. The film doesn’t end there, though. The events that come after are masterfully handled as well, showing how people react to and deal with life when it takes unexpected turns. And let’s not forget the great performances here, with veteran actors Tom Wilkinson and Sissy Spacek as the stand-outs. As a Swede, I’m culturally obliged to make fun of Norwegians at every opportunity. Elling thus presents a problem: How can I make fun of people who make movies as great as this one? Elling follows two unlikely friends (Per Christian Ellefsen and Sven Nordin), both with their fair share of mental hang-ups and neuroses, as they try to reintegrate themselves into society. A film full of heart and genuine laughs. I’ve already detailed my complicated relationship with this remake of Alejandro Amenábar‘s Open Your Eyes. Considering how close Cameron Crowe sticks to the great original here, it’s hard not to see Vanilla Sky as an unnecessary movie. But “unnecessary” does not mean “bad”. The story still makes for an intriguing mystery, there’s plenty of atmosphere to take in, and the acting is top-notch. The supporting players in particular shine bright; Penelope Cruz, Jason Lee and Cameron Diaz all turn in performances as good as anything else I’ve seen from them. 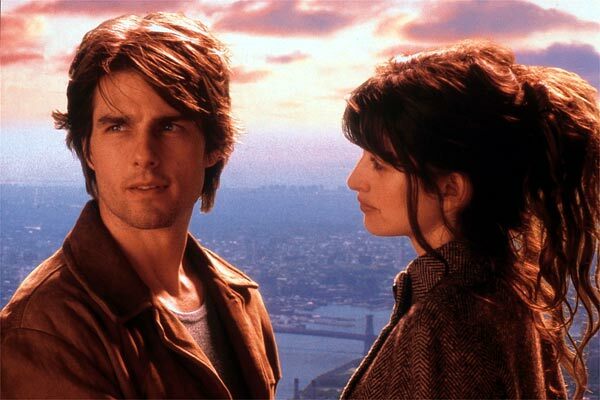 In fact, when judging a film for what it is, Vanilla Sky might well be my favorite remake of all time. And while Crowe was busy remaking Amenábar’s previous movie, Amenábar himself was making this gem of a film. If you watch horror for the big jump scares, this isn’t the movie for you. 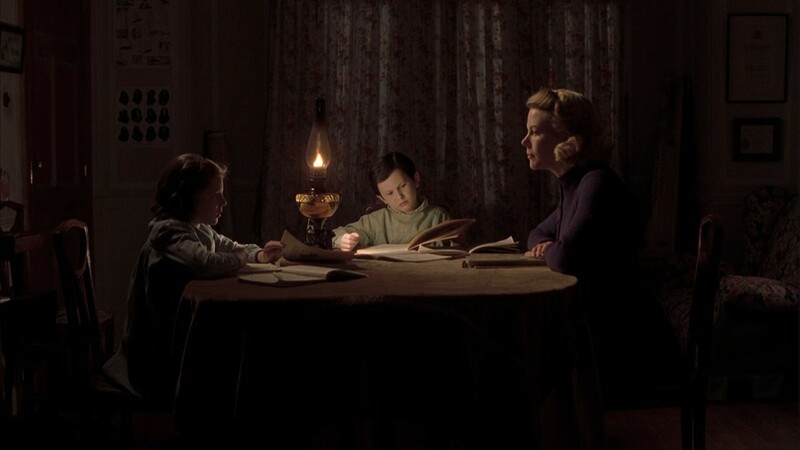 The Others is all about atmosphere, telling a story of a mother and her two kids living in a mansion that appears to be haunted. Question marks pop up everywhere alongside clues and red herrings, and everything is drenched in darkness. But while darkness can be scary, it also serves as a zone of safety here since the children are allergic to light. It makes for an interesting contrast, and a psychological horror movie that doesn’t feel quite like any other. As a time travel movie, Donnie Darko doesn’t fully work. The mechanics involved are insufficiently explained – at least in the theatrical cut – which makes it hard to make sense of things. However, when viewed as a meditation on the torturous reality of being a teenager and feeling lost and confused, it brings forth unexpected qualities. The titular Donnie (Jake Gyllenhaal) starts getting apocalyptic visions involving a monstrous bunny and, as though in a trance, he sets out to save the world through radical means. We’re with him every step of the way, and as the movie progresses we’re treated to superb atmosphere, a dark sense of humor and a haunting soundtrack. Richard Kelly set the bar high in his directorial debut, and hasn’t quite reached the same level again. Let’s stick with the theme of being a teenager for a bit longer, yes? This film gives us one of the most memorable teens of the millenium in Thora Birch‘s Enid. Fully convinced that most people are mindless sheep and morons, she spends most of her time with her best friend Rebecca (a pre-fame Scarlett Johansson), making snarky comments about the idiocy that surrounds them. But throughout the film there’s a definite sense of life having to move on. The girls have graduated high school and make tentative plans for the future, but the future is a scary place. As annoyed as Enid is with everything in her life, she doesn’t want to grow up. Instead she clings to the past, starting to hang out with a melancholic middle-aged record collector (Steve Buscemi in the performance of his career). Ghost World offers a lot of food for thoughts, along with a wonderfully quirky and black sense of humor. If there is a better film based on a comic book out there than this one, I haven’t seen it. If Amélie had merely been a movie about a young woman concocting secret plans to bring joy to people’s lives, it would have still been a really good one. There is so much charm and warmth present throughout for it to work that way. What makes it special, what makes it wonderful, what makes it fantastic, however, is the painful loneliness and isolation present within the titular heroine. Having grown up without any friends and with emotionally distant parents, Amélie (Audrey Tautou) longs for love in her life. Her scheming and strategizing is her way to reach out to a world of happiness while still keeping her fragile self out of harm’s way. Jean-Pierre Jeunet masterfully balances the light with the dark, making us smile at the clever games Amélie plays, and breaking our hearts when she hits roadblocks on the journey to her own bliss. I revisited this film just a few days ago to make sure that it was really as excellent as I remembered it being. Turns out it was even better. This one is a must-see. What are you favorite films of 2001? What do you think of the movies on this list? Interesting list you have here, with great choices! I really need to see In the Bedroom, it’s been on my list for a long time! Nice to see Knight’s Tale there, I love that movie and Paul Bettany is hilarious in it! Thank you, Diana! Yeah, A Knight’s Tale is just so much fun, isn’t it? Gotta love Bettany’s over-the-top introductions of Sir Ulrich. Definitely check out In the Bedroom when you get a chance. I didn’t make it high priority for a long time until I saw it mentioned by a fellw blogger whose tastes seemed to match my own. So I decided to take a gamble on it, and it paid off. Wonderful movie, that one. Some interesting choices there. I’m completely on board with you regarding Amélie and I was delighted to see Human Nature on the list. It was also cool to see Elling getting a nod. Go Norway! There’s no way I could have expluded The Fellowship of the Ring. I remember literally NOTHING of Ghost World so it can’t have made that much of an impression of me. I’d probably drop that. Spirited away, A beautiful Mind and Gosford Park would probably have been on my list. But the dompetition is fierce that year. And I haven’t even seen The Royal Teenembaums! Amélie deserves all the love in the world. Glad to hear your a fan of it. Human Nature and Elling are both worthy of more attention than they tend to get. Few movies are quite like them. I didn’t quite fall in love with Spirited Away the many others have. I thought it was a pleasant little film with a good bunch of imagination, but it didn’t leave a whole lot of lasting impressions on me. The story and characters didn’t stand out much. I haven’t caught up with A Beautiful Mind or Gosford Park yet, though they’re both certainly on my radar. 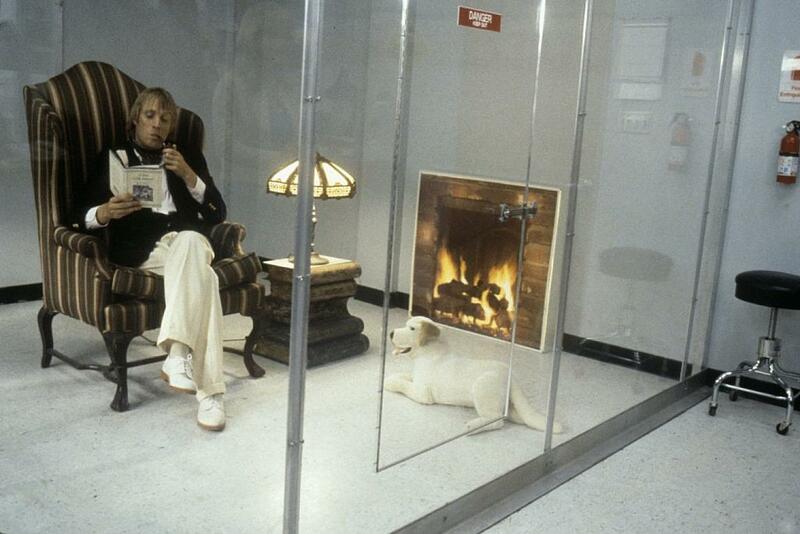 The Royal Tenenbaums is… decent. Wes Anderson’s humor doesn’t always suit my tastes – although I did very much like Rushmore. Tenenbaums is a bit more awkward to me. Gene Hackman is pretty great in it, however. It’s a film worth seeing at least once, I feel. Thank you for commenting, Jessica! Emil! You’re spitting out these lists faster than I am, and you’re making me look bad! :-) Nah, I love that you have more motivation than I do. Your lists are great, and this is a strong one. It’s not one of my favorite years in movies, but as with every year, there are plenty of very excellent works. As you’ll see on my 2001 list, we share about half of the titles. But where’s Mulholland Drive, The Pledge and Moulin Rouge? Blasphemy! The Pledge was really impressive. Call it around #13 or #14 on my list or so. Thought it was both clever and intriguingly subdued, plus one of Jack Nicholson’s last great performances, perhaps. Mulholland Drive is a film I owe a rewatch, and have done so for a long time. I was mystified and confused by it on my first watch, but in a good way. I know it has a lot of supporters here on the intrawebs, and I’ve been meaning to revisit it. Someday. As for Moulin Rouge… Yeah, it’s a pleasant movie, but whenever I get the urge to rewatch it, I always settle for Chicago instead. Sorry! And thanks for your kind words about my lists. It’s nice finding someone with similar tastes to bounce off ideas and recommendations. Keep up the great work! I liked Mulholland Drive, but I didn’t love it. I thought the performances were impressive, and there was certainly tons of atmosphere to it. It piles on the mystery, ambiguity and bizarreness to the point where I found it exceedingly hard to make much sense of things, though. At the same time, this all had its own kind of charm to it. It felt like the film was begging me to look closer, and that there was much richness to it that wasn’t going to be apparent on a first time watch. It wasn’t a fully rewarding experience, but it seemed to be promising more. I’ve been meaning to revisit the film ever since I first saw it back in 2008. I still mean to. LOTR Fellowship, The Others are my favourites! damn I thought Memento was 2001 until checking IMDb. Interesting list, I wasn’t a huge fan of many of these but I can’t think of what I’d replace them with. 7. Planet of the Apes – still never seen the franchise proper, but I have read Boulle’s novel and I thought Burton’s film was well done. People gripe about the end of the movie, but it’s right out of the novel. 6. Ocean’s Eleven – sheer, slick fun! 5. Bridget Jones’s Diary – I know; I was surprised to see it that high, too! 2. Amelie – I fell in live with this! 1. The Tailor of Panama – “It’s like Casablanca, but without heroes,” says Geoffrey Rush of Panama. He may as well be speaking of the film. Terrific fun to watch. It’s the second best performance of Brosnan’s career, behind The Matador. I was already aware of your love for Amélie. Glad to hear you like Ghost World too. If I were to pick out one of your unseen on my list that I’d think you might enjoy, I’d probably go with Vanilla Sky. Although if you’re going to watch that one, you might as well go with the Spanish original Open Your Eyes first. Maybe. I’ve seen half the movies on your list. Moulin Rouge was indeed very lavishly crafted and had some fun song numbers, but I was never quite as moved by it as I felt I should be. A good film, but not a great one. I definitely agree with your comment on Ocean’s Eleven. That one held the #10 spot on the initial draft of this list, so I have a fair share of love for it. And then we have Shrek, which I didn’t see until many years after its release. I felt that some of the humor probably hadn’t aged well, although the story and characters are solid. Call it a 3/5 movie in my book. A Beautiful Mind and Bridget Jones’s Diary have both been on my radar for a while. Planet of the Apes is one I haven’t heard much reason to pursue, although I might end up seeing it at some point just for Burton completionist purposes. It’s one of only 2 Tim Burton directed films I haven’t seen yet – the other one being Pee-Wee’s Big Adventure. I don’t think I’ve heard of From Hell or The Tailor of Panama before, but at least the latter certainly sounds intriguing. That one’s going on my rental queue. A totally different list than I would have (this isn’t anything new though, haha), but an interesting list nevertheless. And for once I haven’t seen many of them, six to be exact. 10. Human Nature – Haven’t seen this one. Doesn’t sound like a movie I’d like, but you never know. 9. A Knight’s Tale – Haven’t seen this one either. Seems too mainstream, but I could be wrong ? 8. Wit – Another one I haven’t seen, but it’s on my to-watch-list after you recommended it a while back. 7. In the Bedroom – Good movie, gripping and dramatic. Probably would make my list because of a weak year. A good Oscar film. 6. 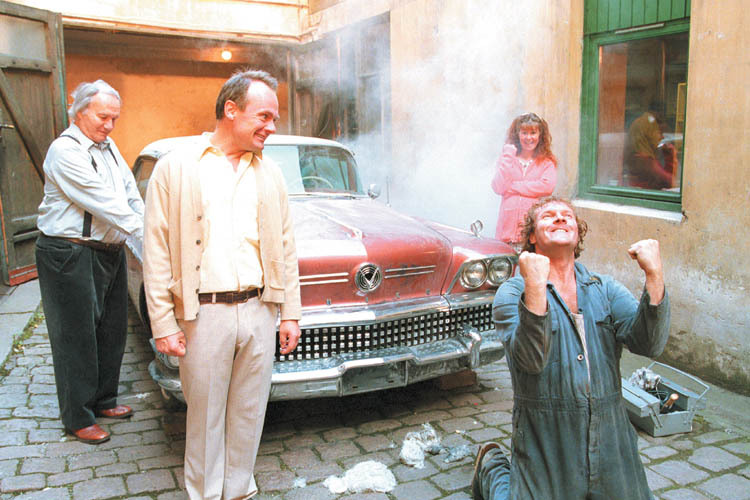 Elling – Haven’t seen this one and, again, it doesn’t seem to be my cup of tea. 5. Vanilla Sky – I saw it before the original, and didn’t like it. The original was better imho. 4. The Others – I didn’t really see what was so great about it, but solid ghost story. I like The Innocents better though (pretty much the same story). 3. Donnie Darko – Really want to rewatch this one and it would make my list for sure. One of the best from the year. 2. 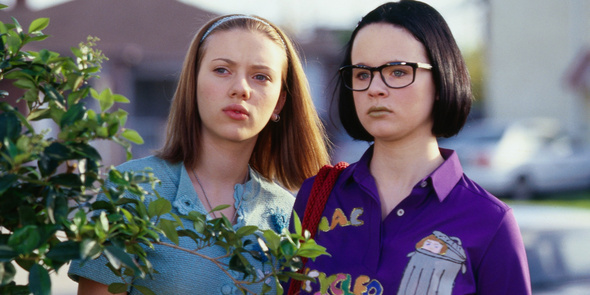 Ghost World – Don’t remember much from it as I saw it when it came out, but didn’t care much for it back then. 1. Amelie – Another one I saw “back then” and I’ve never been much of a fan of crazy people on film. Audrey Tautou is very cute and likeable though so I want to give it another try. Not bad, but not great either. I can’t seem to find anything on a The Innocents from 2001. Did you get the title wrong? It sounds like something I might want to see. I really can’t agree with your assessment of Amélie being about crazy people. No idea what you mean there. Mulholland Drive I’ve talked about in reply to earlier comments here. I owe it a rewatch, I know that much. Haven’t seen A Beautiful Mind yet. My Sassy Girl was kind of pleasant overall, but there were parts that just rubbed me the wrong way, particularly in regard to the nastiness of the female main character which felt a bit too much. Still, an okay film overall, and the ending was really well handled. Sorry about that, I forgot to include the year for The Innocents. It’s from 1961 :) IMDb link. Martin Scorsese had it on his favorite horror movies of all time. Really ahead of it’s time, considering it came 40 years before The Others. The character of Amelie is a bit crazy (not like a mental patient), but crazy/odd that she does crazy things. Perhaps I would’ve enjoyed it more had I not heard everyone say how great it was before I saw it ;) I’ll try and watch it again (haven’t seen it in ten years or so) and see what I think this time around. Hopefully I’ll enjoy it a lot more. I don’t know why my brain was thinking than The Innocents would have to be from 2001. Yeah, I noticed the 60s film while searching for it. My bad. Might be checking that one out, then. 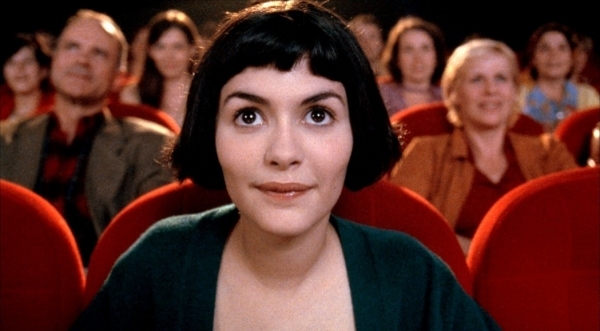 In the Bedroom and Amelie are two of my favorite contemporary films. And despite my love of Mike Nichols, I’ve never seen Wit. Thanks for reminding me to check it out. Great list yet again! I consider Memento 2001 because that’s when it was released in theaters, but yeah, either that year or 2000, as long as it makes it on the list! Also, gotta follow suit and proclaim my love for Mulholland Dr. here! I think a lot of people have missed Wit due to it being made for TV. If anything, that film is proof that just because something was made for TV doesn’t mean it can’t be great. I hope you enjoy it when you get around to seeing it. Yeah, seems there are plenty of people who go with Memento as 2001. I just use whatever IMDB says as a happy medium. US release dates don’t really mean anything to me, while Swedish release dates don’t mean anything to the majority of my readers (Memento was released in 2001 in Sweden too, but the principle still stands). So I just go with IMDB to avoid confusion and be consistant. Plus, it’s quick and easy for me to look up when I’m in doubt. Fair enough man. Either way, your lists are great. Great post, I love the others becuase it relies on suspense and atmosphere rather than constant blood and gore. Yeah, it has a different kind of vibe going compared to most English-language horror films, that’s for sure. Having a Spanish director probably helps in that regard. That said, blood and gore can be used to great effect when it serves the horror atmosphere rather than being there for its own sake. This tends to be rare, unfortunately.